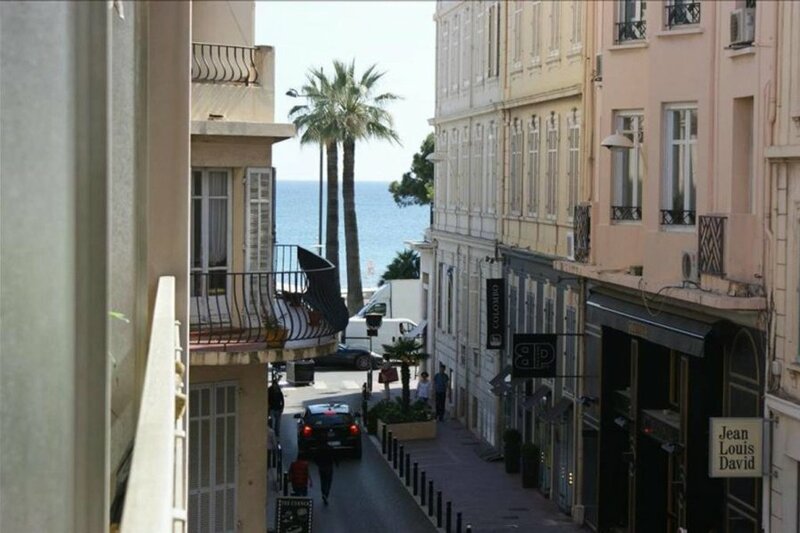 This 2 bedroom apartment is located in Croisette-Palm-Beach and sleeps 6 people. It has WiFi and air conditioning. A few steps from the Croisette, beaches and the Palais des Festivals, 3-room apartment with long balcony enjoying a beautiful sea and Croisette. The apartment consists of a large entrance with many cupboards serving a fully equipped kitchen, a living room with sofa bed; sleeping 160cm can accommodate 2 people; overlooking the long balcony, a corridor leads to a shower room with toilet, a bathroom with toilet, a bedroom with 2 single beds, a bedroom with double bed and large closet overlooking the balcony. All rooms have a TV, Air conditioning. Wifi throughout the apartment, Nespresso coffee machine. Ideal for a congress or family vacation; in the city center and close to the most beautiful beaches of the Côte d'Azur. Our company is able to offer you a wide choice of apartments and / or villas according to your type of events. All perfectly decorated and equipped, we choose them carefully to meet your expectations.